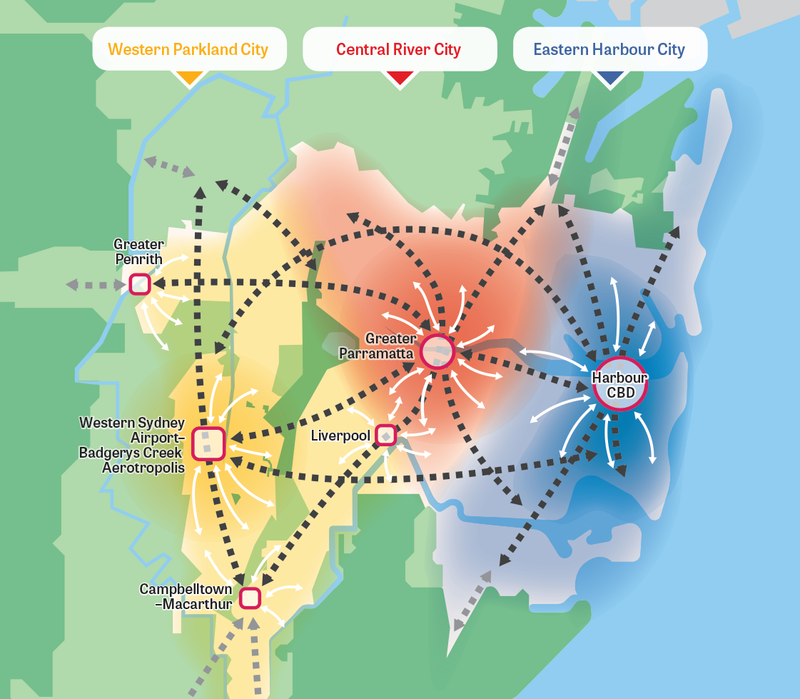 A Metropolis of Three Cities, the regional plan for Greater Sydney, is built on a vision of three cities where most residents live within 30 minutes of their jobs, education and health facilities, services and great places – Western Parkland City, Central River City and Eastern Harbour City. This vision seeks to rebalance the economic and social opportunities and deliver a more equal and equitable Greater Sydney. Greater Sydney’s three cities reach across five districts: Western City District, Central City District, Eastern City District, North District and South District. The South District forms part of the Eastern Harbour City. The District connects to the Central River City through Bankstown and to the Western Parkland city through Liverpool. The Australian Nuclear Science and Technology Organisation (ANSTO) at Lucas Heights, and the health and education facilities at Kogarah, Sutherland, Hurstville and Bankstown contain the largest concentrations of knowledge-intensive jobs in the District. Road and rail investments such as the Sydney Metro City & Southwest and WestConnex will benefit workers and businesses. Enhancing transport infrastructure to research, health and education precincts, the nationally significant trade gateways of Sydney Airport, Port Botany and Port Kembla, and freight networks across Greater Sydney and other regions, will increase productivity and access to jobs. Collaboration Areas include the ANSTO innovation precinct, the Kogarah health and education precinct and the Bankstown health and education precinct and the Bankstown Airport and Milperra industrial area. 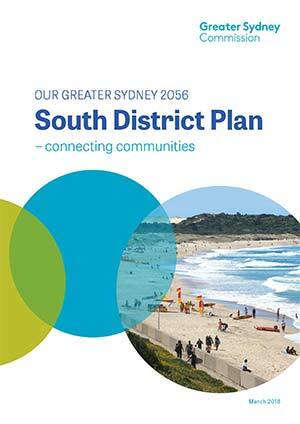 The South District will continue to grow over the next 20 years with demand for an additional 83,500 dwellings. This will be provided through urban renewal, around new and existing infrastructure, and infill developments. The focus of growth will be on well-connected, walkable places that build on local strengths and deliver quality public places. Increasing the number of jobs in the health, education and scientific and professional industries, as well as population-serving industries will underpin the District’s economy. Industrial and urban services land will be retained, and support transition from traditional to advanced manufacturing and innovation industries to strengthen productivity and local jobs. An integrated approach to green infrastructure – the coast and waterways, bushland, urban tree canopy and green ground cover, parks and open spaces – will improve sustainability. The Greater Sydney Green Grid will provide cool, green links which will support waking, cycling and community access to open space.